What better way to show your love for that special person in your life that with the gift of fine jewelry! This lovely floating pendant features a classic open heart design that is sure to add a touch of elegance to any attire. The fine gold is polished to a mirror-like finish and completes the chic look! 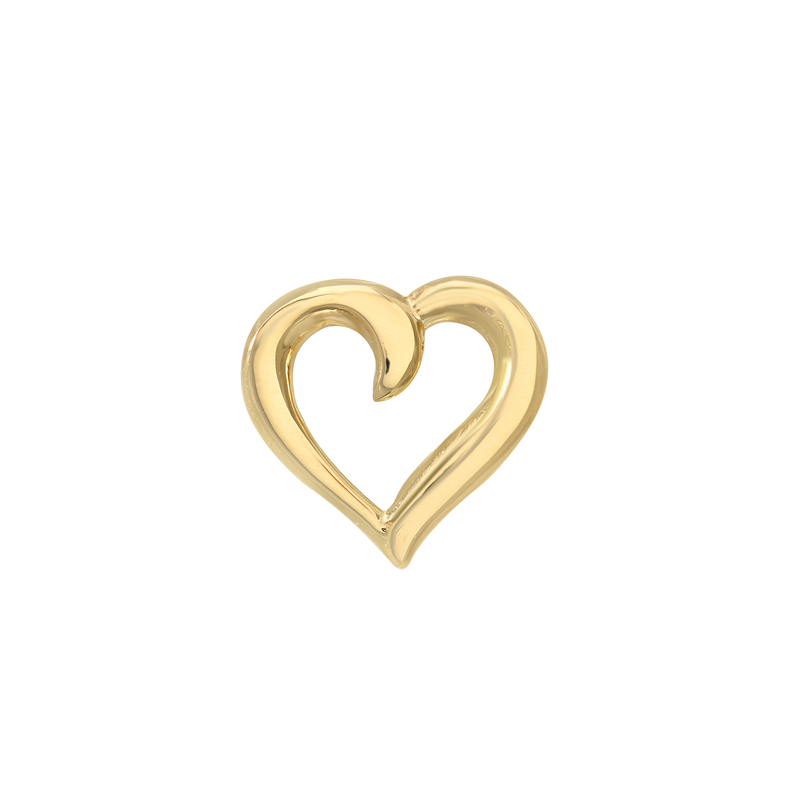 Only fine 14k Yellow Gold is used to craft this gorgeous piece. This necklace is part of our Icon Favorites Collection and is sure to be a favorite when you add it to yours! Our pendants are proudly handcrafted by professional jewelers in our California factory and are hung on fine Italian chains.